The Air Task Force (ATF) of Operation LAFIYA DOLE has tracked and destroyed some Boko Haram Terrorists (BHT) vehicles as they were attempting to launch fresh attacks on ground troops locations at Gudumbali and Damasak in Borno State. Air Commodore Ibikunle Daramola, Director of Public Relations and Information, Nigerian Air Force in a statement said the mission was initiated following intelligence reports indicating that a convoy of BHT vehicles had been sighted within the Damasak - Gudumbali Axis. 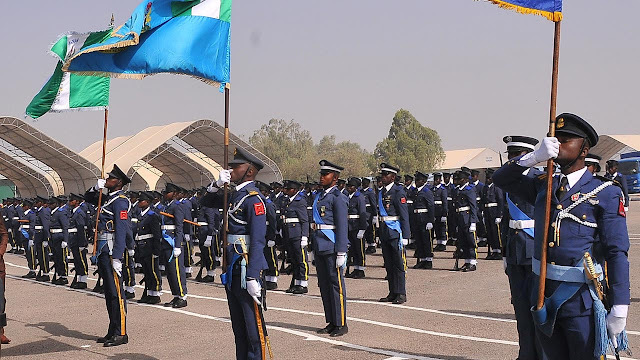 “A Nigerian Air Force (NAF) Intelligence Surveillance and Reconnaissance (ISR) platform was dispatched to search for and locate the convoy of vehicles. The ISR aircraft spotted vehicles at a location 24 Km SW of Gudumbali heading in a Northwards direction. Consequently, a helicopter gunship was scrambled to attack the convoy. “The helicopter arrived the location and was vectored to the position of the vehicles, which, at the time, were about midway between Nigerian Army (NA) locations at Metele and Arege. Following communications with ground troops, the BHT vehicles were positively identified, isolated and attacked by the helicopter gunship in successive strikes. In the process, 4 of the vehicles were immobilized and their occupants neutralized. The ISR aircraft continued to track the remaining 5 vehicles, which initially dispersed but later regrouped and continued their retreat to Tumbun Rego. They were subsequently attacked at their harbour location by the freshly rearmed helicopter gunship; with 3 direct hits recorded on the vehicles.